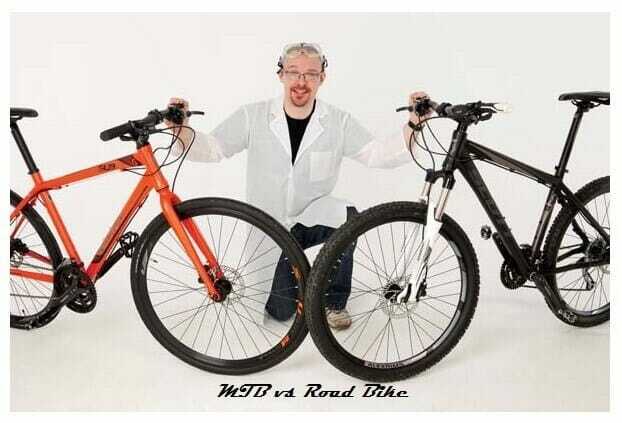 Home » Mountain Bike vs Road Bike? Which One Should You Choose? Are you still stuck in the fundamental process of choosing a bike, cannot make a decision whether to choose a Mountain Bike or a Road Bike? Do you want to know, the basic difference between Mountain bikes and Road Bike, to make the best decision? Do not worry, because you are not the only person who is facing this problem. We understand your perplexity, among selecting the preferable bike type. That is why you need to check our full review of mountain bike vs road bike. With so many different reviews, and criteria, anyone is supposed to get confused. So to make things simpler, here we are to state the main differences between Mountain Bike (all trail bike) and a Road bike so that you can comprehend their mechanism better. All you need to do is note down your desired traits because your ideal bike mainly depends upon your cycling style and preferences. So, hold on, while I drive you through the storm of information, about Mountain Bikes and Road Bikes. A Mountain Bike is a bike which can perform excellently, on both paved and unpaved roads. With the assistance of a Mountain Bike, you can travel through any terrain with ease, without feeling any impact on your hands or back. It doesn’t matter how challenging and unexpected the journey is. This certain type of bicycle comes with a light muscular frame; deep, wide tyres for better stride; multiple gears, for better control over the gear ratio and gear shift, for selecting the desired gear according to the trail. All these features are merged into a Mountain Bike, to support you through rough, uneven, rocky and hilly terrains. This bike promises to bring you back home safely from any adventure. There was a time when it was impossible to ride through the snowy, sandy, muddy and damp land. However, fat Mountain Bikes with wider tyres made those trips possible too. Mountain Bikes are a magical innovation, to support a friendly ride through any circumstance. Mountain bikes are safer and reduce the risk of injuries. There is an option of choosing between hardtail and suspension bikes. Can bear a lot of pressure and irregularity, yet allows the rider to enjoy a comfortable ride, despite being jagged through obstacles that are encountered. Can choose the desired gear ratio, according to the terrain’s demand. Suspension for downhill assistance, sometimes full suspension is added. Rear shock absorber, for avoiding impacts on the rider’s body. It can be a little more expensive than Road Bikes. Maybe have less speed than Road Bikes. A Road bike is a bicycle which can only be used on paved terrains. It is specially designed for city trails. Often these bikes are very light and easy to be carried. They are quite speedy, plus they come with a good speed control facility. With a road bike, you can rush through the road, or penetrate the traffic easily. These bikes are so light and slender that you can jump in and out the bus or any other public transport while carrying this bike along with you. Can only be used on paved roads. Do not have full suspension. They don’t offer too many features. You are the consumer here, and the bike you need depends upon your necessities. That is why we suggested at the beginning to note down your priority traits. But if you ask an expert, then he/she will, of course, choose a Mountain Bike, to be a better option. Mountain bikes are definitely more diverse; you are not going to buy a bike every week, so, why not choose a bike, which can be ready to face any kind of trail. Besides, there are mountain bikes; with ultra-lightweight; folding options, as well as speed limit which is close to a Road bike. Mountain Bikes will supply a smooth, safe ride, with zero impacts. Mountain bikes can provide all the features a Road bike can. You can ride through the traffic easily with a Mountain bike, but cannot ride over a rocky track with a Road Bike. Mountain Bikes are the continuously being updated with modern technology, for the better mechanism. Whereas Road bikes are contemporary bikes, which has nothing much to be changed, therefore, offers minimum features. Then again this is my opinion; you are the one to make a final decision. I hope my mountain bike vs road bike article could help you enough, to drag you out of the tangle, which the mountain bikes and road bikes have caused. As you now understand the difference between both kinds of bikes. Hence, you will also be able to recognize the features, which will benefit your journey. For additional assistance, we would suggest you to check the weight capacity; speed; suspension travel; gear; wheelset and tyres, of the bike, while purchasing. If you have decided you are going to buy a mountain bike. You are can check our best mountain bikes reviews by budgets.